In a wide-ranging interview to Mongabay-India, Kerala’s Agriculture Minister V.S. Sunil Kumar said that after the floods of August 2018, Kerala’s agriculture sector suffered a loss of Rs 190 billion (out of the total loss of Rs 310 billion suffered by all sectors). 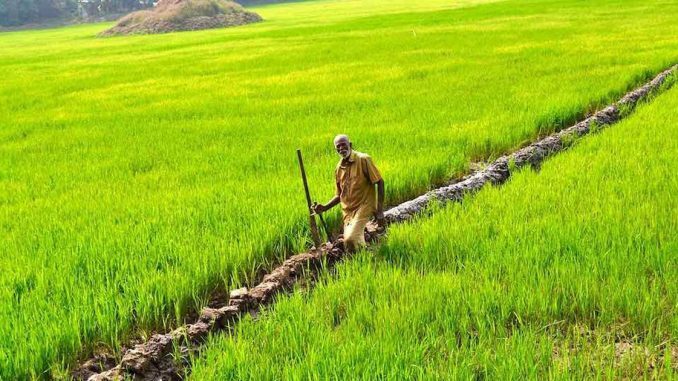 Kerala will officially launch a programme on zero budget natural farming (ZBNF) this week which will help the state’s farmers develop self reliance and climate resilience. Kerala plans to have a scientific transition to organic and natural farming from the present chemical farming. Steps such as geographical indication registration and returning land to its natural use are listed for supporting farmers to overcome problems faced during the floods. Building climate resilience for the farm sector is imperative, stated the minister during an off the cuff interview with Mongabay-India’s senior contributing editor. While the monsoons failed in 2016, in 2018 there were floods. In the middle of August 2018, Kerala went through severe floods, the likes of which was experienced earlier nearly hundred years ago in 1924. Two years earlier in 2016, both the southwest and the northeast monsoon failed over the state, as a result of which there was water shortage in the summer of 2017. V.S. Sunil Kumar, agriculture minister of Kerala, feels that the impact of climate change are already becoming visible in the state, and extreme weather events are likely to visit the state more frequently in the coming years. He told Mongabay-India that the only way to protect Kerala’s agricultural sector and the livelihoods of the farming families is to strengthen farmers’ self reliance through organic and natural farming, providing support prices for growing traditional varieties and obtaining geographical indication tag for the unique produce from the state. On November 16, the Kerala Government is launching a Zero Budget Natural Farming (ZBNF) programme that will initiate the step-by-step process that has been envisioned to help the agricultural sector recover from the devastation of the flood and make the farmers self-reliant and climate resilient. 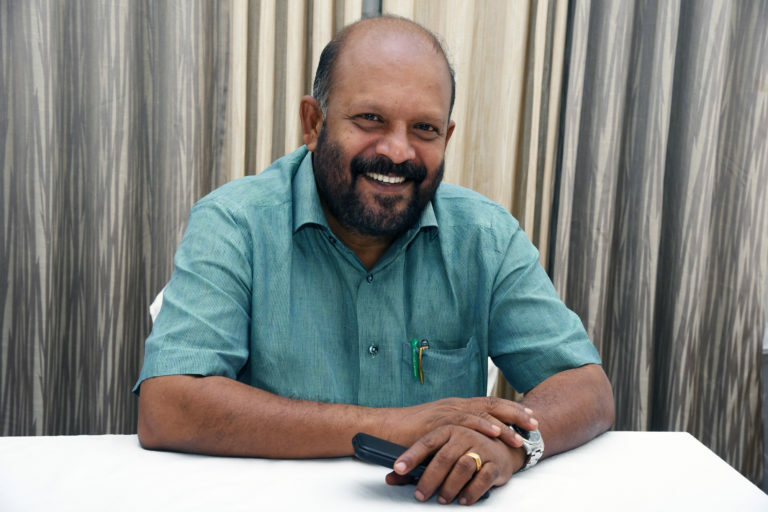 Kumar, who has been agriculture minister since 2016, states that his eco-consciousness originates from his involvement in student environment movement in the mid-1980s. Kerala Agriculture Minister V.S. Sunil Kumar. Photo by Janardhanan. 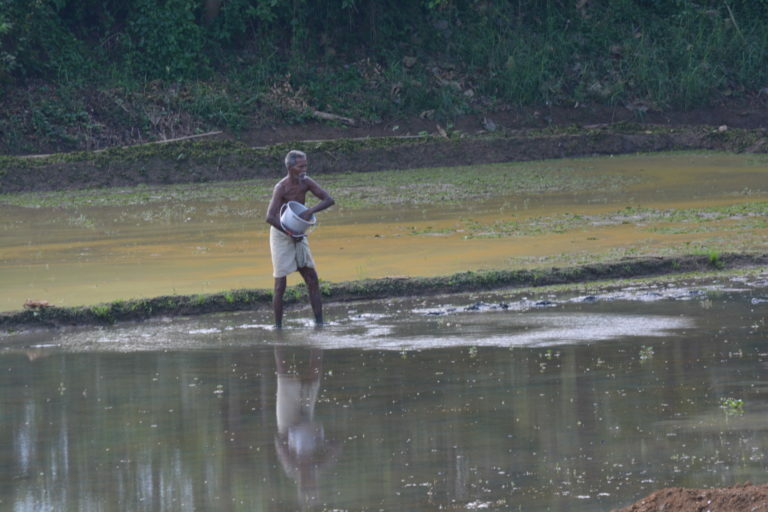 Have you assessed the damage to Kerala’s agriculture due to the floods? We are assessing the loss in two to three ways. There is the sudden crop loss, which has been estimated to be over Rs 6,000 crores (Rs 60 billion). Then there is the ecosystem loss, which is very big. 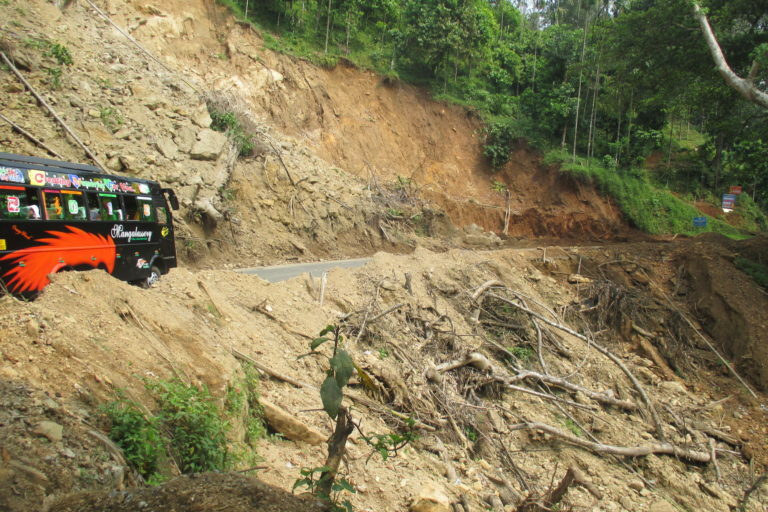 In the mountainous districts of Idukki and Wayanad the topsoil has been significantly washed out. There are also changes in the chemical and physical constitution of the soil, which can cause two kinds of issues. While in most of the places the implication is adverse, in some areas it is positive. Both these need intervention. In many place silt has accumulated over the soil. This obstructs the oxygen supply to the soil. In many other places micronutrients have disappeared. We noticed changes in the values of manganese, magnesium and phosphorus and a widespread decrease in boron values. In some places the soil has become acidic. All these need area-specific interventions. Then there are losses to the perennial crops – nutmeg, cardamom, rubber, coffee and coconut. These losses can’t be brought back immediately. So it is not enough to assess the present loss but also those whose impacts can come later. For instance, for coconut the loss may appear two years later and nutmeg may need five to six years to recover. We have estimated the total loss to the agriculture sector at Rs 19,000 crores (Rs 190 billion). As you are aware, the UN body that assessed Kerala’s flood loss estimated the total loss across all sectors to be Rs 31,000 crores (Rs 310 billion). Changes in land use patterns led to massive landslides during the August floods in Idukki and Wayanad districts. Photo by S. Gopikrishna Warrier / Mongabay-India. What are your rehabilitation plans? Rehabilitation will need to be done in stages. Our immediate attention is to try and restore the soil so that farming can continue. For farmers who have lost their ability to generate income, we are helping them to plant crops that can bring them income soon. In some areas we have benefitted from the flood. For instance, in some places in Kuttanad we can farm this year without fertilizers. Our first priority is to have a total intervention keeping all the above factors in mind. For farmers when they suffer crop loss and go to the next crop there are carried over losses. We have to assess that. Only when we assess all this will we be able to assess the social impact of the floods correctly. That’s why I said there are three kinds of assessment – the immediate and long-term loss, and social impact. What the agriculture department is doing analysing what are the problems for soil. That was the first assignment – assess soil erosion, land sliding and micronutrient differences locally. We have introduced a people’s programme called Punarjani (rebirth in Malayalam). As part of that we are analysing soils, suggesting interventions, helping farmers to restart agriculture, give financial support, give moratorium on bank loan repayment, help them in getting short-term bank loans. In addition, in places such as Kuttanad, where floods can come again, there are attempts to design packages that can give sustainable solutions. In Wayanad and Idukki long-term rehabilitation programmes are being initiated. A very important factor for farmers is to prevent them from them from losing their morale. So Punarjani is to motivate them. Since we had been promoting organic farming even before the floods, we have been able to move forward after the event. It has been very helpful since organic farming can help our soil recover. There was no scientific approach towards nature and ecology by farmers. Even the [agriculture] department also did not go through a fully scientific approach on the subject. The strong warning that the flood has given us is that when dealing with nature – through agriculture or development – there is need for a scientific approach. This has now been accepted by the society. This is a major positive development. After the floods there is a great importance for ecological engineering. Earlier it was not tried and implemented by the department. How are you defining ecological engineering? We use insecticides and pesticides but still pests are attacking the crops. Why is this happening? We can remove insects through ecological engineering by using a diversity of friendly species. The health of soil is dependent on its microorganisms and microchemistry. If we analyse and manage this ecological system correctly we can re-balance and run the system. There are species of birds, butterflies, microorganisms and insects that are our friends and enemies. Ecological engineering is finding their balance. Isn’t this a long-term approach? How will you do this in the short term? This is an issue of culture where we move away from our regular practises. The circumstances [of the flood] has given us an opportunity to start. Earlier people looked at all this with suspicion – ecological engineering, organic farming and zero budget natural farming. We have a certain outlook towards science. Plastics, insecticides and chemical fertilizers are all scientific discoveries. At one point of time we considered all these as the part of growth of science. Later this science tells us that plastic can damage our ecosystem. It says that insecticides should not be used – while it kills insects it also destroys the soil and affects the carbon footprint of the soil. So when we talk of change people will be suspicious. Ecological engineering is nothing new; we just re-discovered it. As a person responsible for state’s agriculture production and productivity, do you think this can be implemented in the short term? For results to happen we need it in the long term. We need a social processing for this. We will be able to promote it widely because the mindset has come for the people after the floods. We need to mould and channelize it, and that is the government’s role to bring such concepts to an official channel. It is not enough for only NGOs to talk about it. But there is a short-term loss for the farmers with this. Yes, to deal with that we have to launch it as a government scheme. For instance, zero budget natural farming (ZBNF). We have heard of pioneers like Subhash Palekar and we have heard of many people experimenting with it. But why doesn’t it come to people in the large scale? It is because the farmers believe that when they switch over to the ZBNF system there are losses. They ask “who will compensate us for this?” It is not easy to go from chemical farming to ZBNF. So we are bringing a scheme to support the farmers. On November 16 we are organising a meeting with Subhash Palekar. He will interact with department officials and scientists. It will help change perspectives and approach. to communicate to farmers we need to communicate with officials. That is why this dialogue is needed. Andhra Pradesh has done it, isn’t it? I have been there to understand their work. Also Sikkim has implemented organic farming. In Kerala we can come into natural farming only step by step. As a government we need to step down gradually from chemical to organic farming. We reached chemical farming by gradually moving from organic farming. Now we have to take a similarly calibrated approach on our way back. As the minister you have the responsibility to maintain continuity, isn’t it? Yes, we can’t live in a dream world, and need to make the transition slowly. Presently we are promoting good agricultural practices (GAP). The next step will be organic farming. Then there is a question of food safety. Under Green Revolution we addressed only the issue of food security. Now we also have to be careful about food safety. What’s the point in food security if the food that we eat is no safe? We are trying to blend food safety and food security. This is an important challenge for us. So you are launching the ZBNF programme this month? We marked a beginning some time ago. But we are only now bringing our department into ZBNF officially. Those who are concerned with food security have been asking questions and we are trying to do research to answer those questions. We are doing research to bridge the yield gap of traditional varieties of paddy through organic cultivation, and get the best seeds. In north Malabar using traditional seeds such as Ezhom and Jaiva we are experimenting growing them organically and by introducing mechanisation to increase yields. Our average production in Kerala using chemical fertilizers is 5.5 to 6 tonnes per hectare. Which is considered good, isn’t it? But our experiments have shown that we can generate 6 tonnes per hectare through organic cultivation in Korom near Payyannur. Our aim is to reach to 8 to 10 tonnes per hectare organically. If we can do it organically, it develops the capacity of the farmer and he is not bothered if the price of fertilizer of pesticide goes up. He doesn’t need to depend on anybody. Behind the ZBNF there is ecology and also an economic principle that gives resistance and resilience to the farmers. We are doing this with a political vision of independence for farmers. The Kerala Government plans to give self reliance and climate resilience to farmers through organic and natural farming. Photo by S. Gopikrishna Warrier / Mongabay-India. In earlier times this would have been seen as scientifically regressive. Now are you are seeing this as a progressive vision? Yes it is a progressive vision. For us to reach an optimum level we need to go through a step down of chemical and step up of organic farming system. This is practical action. The biggest problem that the agriculture sector faces is related to seeds. All over the world corporates are capturing agriculture. This is because food security is a big issue. In the future food security will decide on the relative strengths of countries and communities. Food, water and clean air will become the cause for strength in the future. Corporates have technology, which they are using for agriculture. For instance, genetically modified crops, hybrids and high yield varieties; and then they produce pesticides that are appropriate for these crops. The corporates are going into the next generation of dependency or exploitation for farmers. When they go to the next generation technologies, the farmers lose their role. To resist this dependency our farmers have to bring these corporates down to the earth. That is what we have to support our farmers for. The farmers have to have control over their immediate environment. They should be self-reliant. The corporates develop these new products from our biodiversity. That is because they have the technology. This technology becomes the reason for this power play. For some interventions we have our traditional methods. For instance, there are non-chemical remedies to deal with micronutrient deficiencies. There are plant species whose roots tap micronutrients from different layers of soils and then replenish the soil through their fallen leaves. Once we understand these systems scientifically our farmers can be self-reliant. So our government’s focus as of now is to strengthen the ability of our farmers to be self-reliant with traditional technologies and better seeds. We need to convert the approach of our research institutions for this. Have you started that process? We have started with the package of practice. It is for the first time in India that our state government started a package of practice for organic agriculture in 2017. We are also trying to make changes in research methods. We are now developing a seed bank for traditional rice varieties. Right now diversity is stored only in gene banks. These are only for research purposes. We want our diversity in the field, rather than just in research laboratories. We want to bring diversity to the agricultural fields. We have some traditional seeds that have good resistance power. For instance, Ezhom, this can withstand flooding. We realised that we have these with us. There are many nutritious agricultural crops. Earlier we had food for every season and every locality. From that we moved away from it into food industry. For instance, our rice is now from the Andhra Pradesh food industry. There used to be vegetables that are good for our climatic conditions and are resistant to diseases. They are going away because we don’t focus attention on them. We want to bring this back to our crops, our plants and trees, our vegetables. Since the people are more health conscious we can bring them to these crops. We are officially supporting some of the traditional varieties. Earlier, traditional seeds were not available with the agriculture department. Now we have launched 29 varieties of vegetable seeds through our government retail system to improve agricultural biodiversity. What about traditional paddy varieties? In Wayanad there are 42 traditional varieties of paddy. We created a directory and are creating gene banks in some panchayats. We are officially promoting agricultural biodiversity in paddy, vegetables and other produce. If you don’t do this officially these will not sustain. 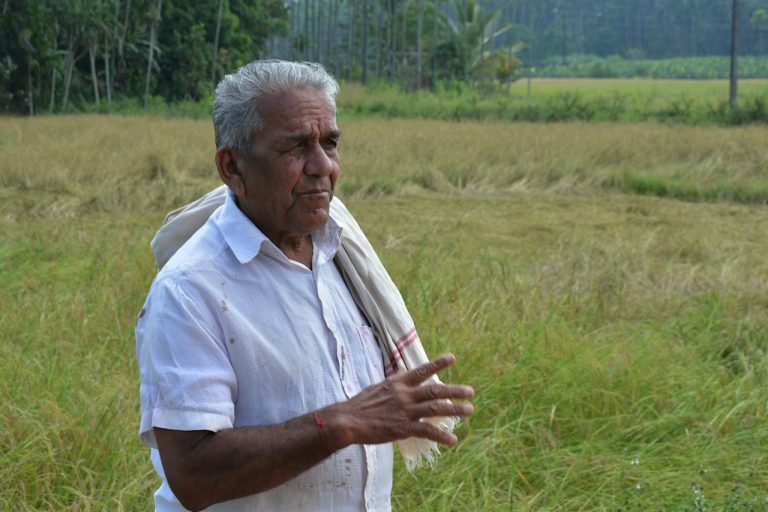 Palliyara Raman, a Kurichiya tribal chief from Wayanad district in Kerala, in his family’s paddy fields where he grows traditional rice varieties. Photo by S. Gopikrishna Warrier / Mongabay-India. We have to reverse some of the earlier processes. For instance, with government support to the White Revolution the diversity of local livestock varieties were replaced by a few exotic varieties. Then who will keep local livestock? Now we are realising that the native breeds give nutritious milk. Now we are officially trying to promote native breeds. In agriculture and related areas there are many problems that have come from the misuse of scientific discovery for commercial use. We need to understand and deal with it. That is our organic policy. How will you deal with the changes that have come in land use related to agriculture? We have seen that there is no scientific approach to land use. Take Wayanad for instance, if you look at the history of the past 50 years you will realise that they used to grow 70 types of crops interchangeably. Now paddy fields are being changed to banana farms, arecanut plantations and pepper estates. What is happening then is that this is adversely affecting the soil health. Also, we realised that we were not farming according to the slopes. Tapioca (cassava) cultivation, for instance, erodes soil. After the floods we have decided to have a long-term approach to land use. Some crops cannot be grown in some areas. 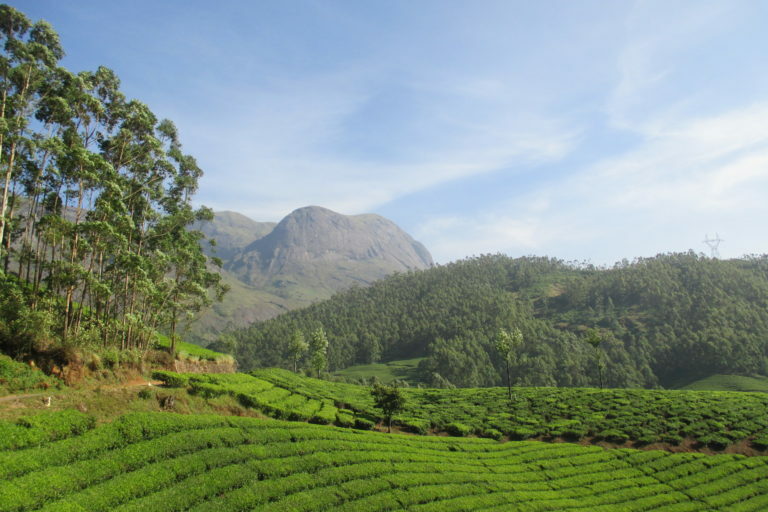 A significant portion of the natural habitat in Idukki district has been converted to plantations. Photo by Raji Warrier. Can the government take such a bold step? That is the step that the government is taking. In Wayanad we are telling the farmers to remove arecanut plantations in hectares. This has to be replaced. Asking them to go to paddy. They say that they have loss. We say we will support them to overcome the financial loss. That’s coming back to the old question. How will the government help farmers overcome short-term financial loss? We asked them those farmers who grow the 42 traditional rice varieties to continue. They asked if the government will buy back the surplus. We said yes. We started this programme. We are also trying to bring back millets that had disappeared in Kerala. We lost them because of land use. When climate change comes we have crops that are climate resilient. Millets are one of them. We are helping the traditional varieties get economic returns by helping to get geographical indication (GI) registration. Jeerakashala rice of Wayanad already has a GI tag and so does Changalikodan banana. 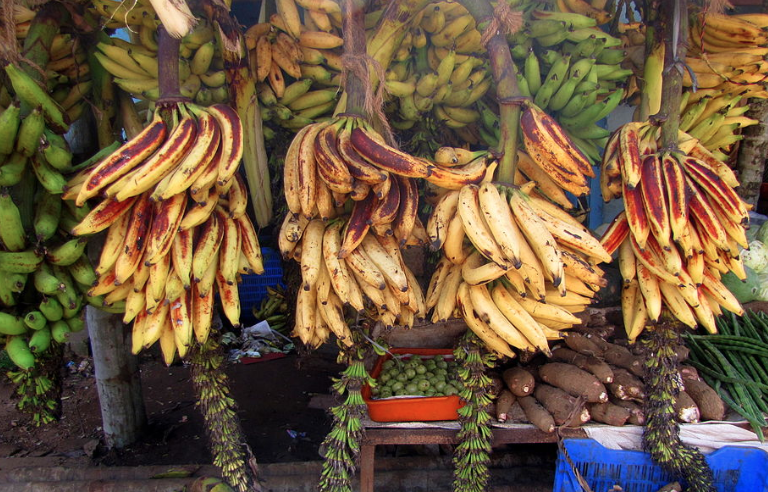 Changalikodan banana, which recently got the geographical indication certification. Photo by Manoj K./ Wikimedia Commons. The GI registration process is ongoing for other crops including Tirur betel leaves, Marayoor jaggery, Kodungallur cucumber, Edayur chilli, Attukombu broad beans, Attapadi pigeonpea, Vattavada garlic and Kuttiattoor mango. This is happening because of the government’s interest. Biodiverisity will be very important in the coming future. We have our signature produce. In the global market if there is a GI tag. Our produce becomes unique, nobody else can produce or compete with us. It becomes unbeatable heritage for our farmers. How may GI applications have you given? The ongoing process is for 14 crop varieties, grains and vegetables. Five applications have been filed. We have got for Chengalikodan banana, and Marayoor jaggery is in its final stage. Vattavada garlic is in its second stage. Do you believe diversity can provide climate resilience? Yes. In 2016-17 we had a severe drought, now we have flood. Climate change is becoming a regular process. It won’t be a once in a century event any longer. So we need to be prepared for it.